Is this outfit fabulous or what? Wouldn’t it be great to go online and find outfits this well coordinated and ready for purchase with a simple click? Well my dears, met our new sponsor - PLUS SIZE GLiTZ! PLUS SIZE GLiTZ is an online shopping destination for the best plus size fashions on the web. The editors at Plus Size Glitz do all of the hard work for you – they find the latest and greatest in plus size apparel and then mix and match their selections for you (kind of like having your own personal stylist, no?). Shopping on the site is a cinch, you can select one of their pre-styled plus size outfits or shop by occasion. If you happen to fall into the plus size category or you know someone who does, you know that finding cool plus size clothing is no mean feat. The editors at PLUS SIZE GLiTZ have done a great job of combing the internet to find some of the best plus size apparel online. The good news is that this means no more running around town searching for the perfect look or the latest trend in your size. They make it easy to find your favorite plus size clothing items online from the comfort of your own computer. I say Tunic, You say TuNix! 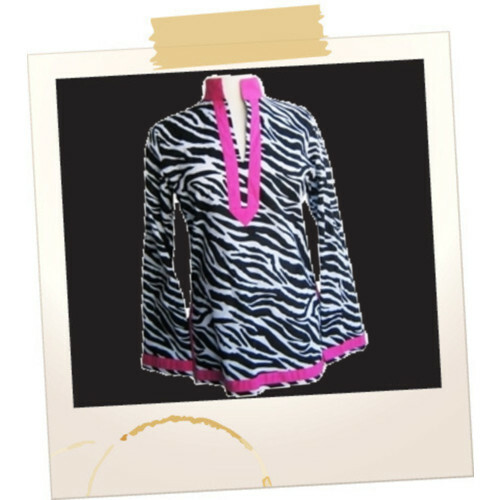 Tunics are all the rage. They have been and they continue to be. Meet our new sponsor – TuNix! TuNix is the brainchild of Ashley Reiser. Ashley’s a commercial real estate banker by trade, but when her husband landed a fab new job overseas, she jumped at the chance to live abroad and try her hand at entrepreneurship. Et voila! TuNix was born. Ashley knew nothing about manufacturing clothing when she started her company a few years ago, but she’s a quick study. She did her due diligence, talked to people in the industry and ended up creating a line of clothing that is comfortable yet casually elegant. Her goal was to provide the modern woman with stylishly functional clothes. What makes TuNix unique is that their tunics come in 4 different styles – collared or collarless, hip-length and mini-dress – the silhouette is flattering for all body types. TuNix range in size from XS – XL. And the great thing? TuNix is having a sale, prices are $49 -$110. JT – Are you calling dibs on the TuNix pictured?